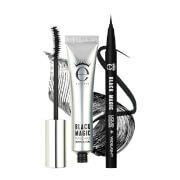 Define your lashes to the max with Blinc's Mascara Amplified; an intense black mascara dedicated to volumising, lengthening and separating eyelashes from root to tip. 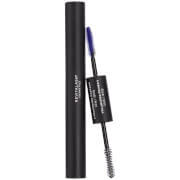 Powered by a unique formula that forms tiny water-resistant tubes around individual lashes, the easy-to-apply mascara delivers ultimate impact and definition with a glossy, clump-free finish. Layer to build your desired look that won't flake or smudge. 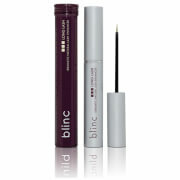 Application: Use on clean and dry lashes. Create additional volume by applying as many coats as you wish. Water, Acrylates Copolymer, Stearic Acid, Propylene Glycol, PEG-8 Dimethicone, Polysilicone-11, Beeswax (Cera Alba), Silica, Glyceryl Stearate, Copernicia Cerifera (Carnauba) Wax, Nylon-66, Aminomethyl Propanol, Sodium Polyacrylate, Tetrasodium Pyrophosphate, Ammonium Hydroxide, o-Cymen-5-OL, Laureth-12, Methylisothiazolinone. [May Contain: Titanium Dioxide (CI 77489, CI 77491, CI 77492, CI 77499)].